AP3, the Swedish state sector pension fund, has been investing in catastrophe bonds, insurance-linked securities (ILS) and reinsurance linked assets since 2008 and the investor increased its allocation to the ILS sector in 2018, while the asset class delivered a positive return despite the catastrophes. In 2018, the size of AP3’s allocations to ILS and reinsurance linked funds increased to roughly US $567 million, up from slightly under $500 million at the end of 2017. This increased the percentage of its overall assets that are invested in ILS to 1.6% of its total assets of around $36.6 billion at year-end 2018, up from 1.2% at the end of the prior year. AP3 is another of the large pension investors that has significant experience in the ILS space and its use of the asset class as a diversifying source of relatively uncorrelated return continued to pay off, despite the catastrophe loss of 2017 and 2018. AP3’s ILS allocations returned it 1% in 2018, which was down on the 2.9% return it received from ILS investments in 2017, but still positive and better than many achieved. In fact, given the extent of the catastrophe losses suffered by ILS and reinsurance markets in 2018 as well as the ongoing loss creep from 2017’s hurricane Irma, any positive return at all is impressive. AP3 has previously said it does not feel the need to diversify too much within the ILS asset class itself, preferring a highly concentrated and catastrophe exposed allocation, given ILS is itself diversifying for the pension funds overall portfolio. Even so the ILS allocation managed to contribute a positive return in a year of numerous loss events. AP3 says that ILS helps to stabilise its pension fund return over time, given its low correlation with other investment classes that it allocates to. The pension says that it has established a network of expertise in the ILS sector to assist with its understanding and allocation decisions, collaborating with strategic partners, universities and research institutes on this segment of its investment portfolio. It’s a demonstration of the long-term commitment that pension investors such as AP3 make to the ILS asset class, as they seek to better understand the risks they are investing in, in order to maximise the potential returns. Overall, AP3 views the ILS asset class very positively, seeing indicators of the benefits efficient third-party capital brings to global insurance and reinsurance markets. “In addition to broadening and diversifying AP3’s portfolio, these investments contribute to increasing the insurance coverage for people in vulnerable parts of the world,” the pension investor explained. 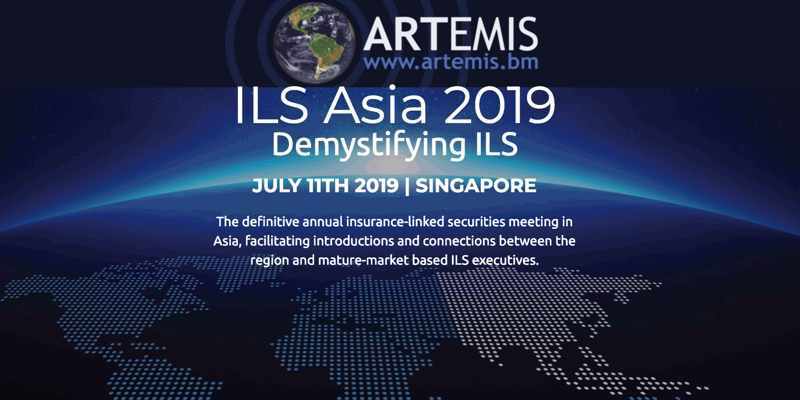 For an investor like AP3, ILS as an asset class offers a number of beneficial features, from their lack of correlation and diversifying nature, through to the fact the risk capital provided serves a social good, in terms of assisting on provision of insurance capacity around peak catastrophe regions of the globe.